Alstom and Amtrak announced today that they have signed a contract for Alstom to design and build 28 new high-speed trains, which will run on the Northeast Corridor (NEC) between Boston and Washington D.C. Amtrak and Alstom also signed a long-term contract under which Alstom will provide Amtrak with long-term technical support and supply spare components and parts for the maintenance of the new trainsets. Together, these contracts are worth 1.8 billion ($2 billion). 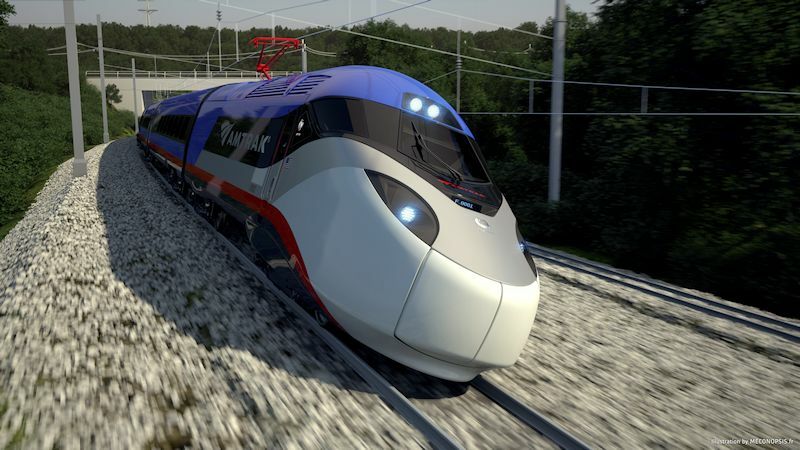 The train ordered by Amtrak is Avelia Liberty, the latest development of Alstoms high-speed train range Avelia. 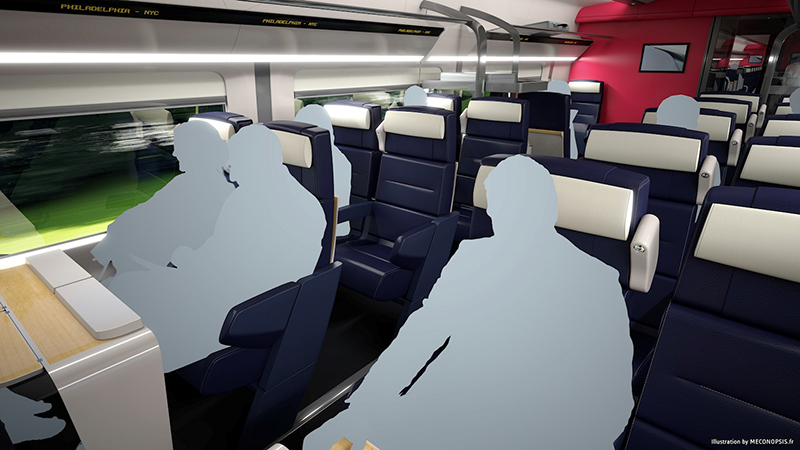 The new trainset will be able to carry up to 33% more passengers than the current Acela trains. The trainset configuration includes an innovative compact power car and nine passenger cars, with the possibility of three more being added if demand grows. The train is capable of travelling at speeds up to 300 km/h (186 mph), but will initially operate at a maximum speed of 257 km/h (160 mph) based on NEC track speed limits. Additionally, each concentrated power car is equipped with Alstoms pioneering Crash Energy Management (CEM) system. Another key feature is the trains articulated architecture, which provides greater stability and passenger comfort while enhancing safety. The train also includes Alstoms innovative Tiltronix anticipative tilting technology, which allows the train to manoeuvre curves safely and more comfortably at high speeds. Amtrak is taking the necessary actions to keep our customers, the Northeast region and the American economy moving forward, said Amtrak President & CEO Joe Boardman. These trainsets and the modernization and improvement of infrastructure will provide our customers with the mobility and experience of the future. Jérôme Wallut, Senior Vice President, Alstom North-America said Alstoms high speed trains, which we have branded Avelia, are the most advanced, reliable and safest trains in the world. Avelia Liberty will not only provide premium passenger experience but will also provide greater energy efficiency and lower lifecycle costs. This award is an illustration of the success of Alstoms strategy of customer proximity. We would like to thank Amtrak for its vote of confidence and remain fully dedicated to making this project a success. 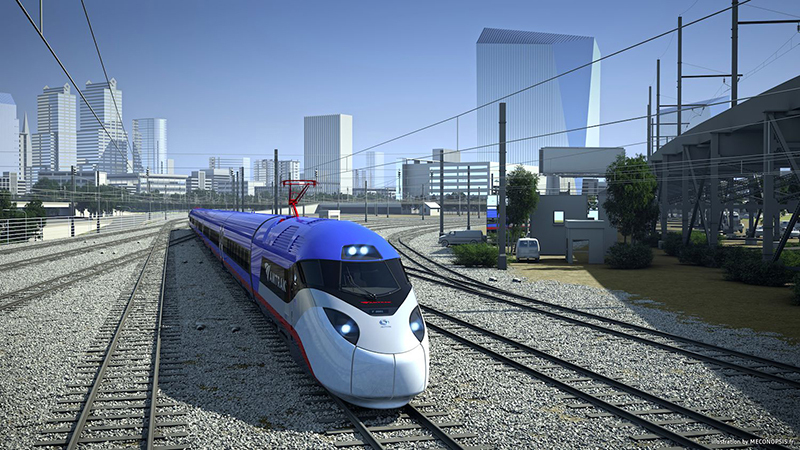 Most of the Avelia Liberty for Amtrak will be manufactured in the United States. The new trainsets will be manufactured at Alstoms 150 year-old historic site in Hornell, NY. They will be maintained in the depots of Amtrak in Boston, New York and Washington DC under a specific Technical Support and Spare Supply Agreement with additional support from Alstoms sites in New York, Delaware and Illinois for a period of 15 years, with an option for an additional 15 years. These contracts will result in the creation of more than 1,000 jobs nationwide, including 750 in New York with 400 of those at Alstom facilities. In nearly 40 years, Alstom has sold more than 1,100 Avelia high speed trains around the world and equipped over 300 more with its technology. As of today, Alstoms Avelia high-speed trains have covered over 6.4 billion kilometres in 20 countries and transported 4 billion passengers.